The Theatre School is very proud of its long association with the Bristol Old Vic Theatre Club who also recently celebrated their 70th birthday! Based at Bristol Old Vic, the club seeks to promote an understanding and passion for high quality theatre and is particularly keen to promote theatre for and by young people. This may be through talks or discussion about the content, or simply enjoying a trip to the theatre in Bristol or further afield. Through its close links with the Theatre School it helps publicise productions, awards annual prizes to outstanding students, organises occasional after show parties for student cast and technical crew, and invites BOVTS staff as Coffee Morning guest speakers. 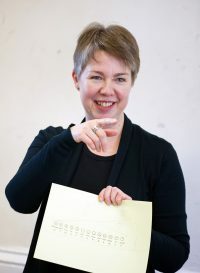 The Bristol Old Vic Theatre Club is chaired by Fran Havard. Activities with the Theatre School are coordinated with the Theatre Club committee member John Bedford and the Theatre School’s Andrew Stocker.